The process of PRP therapy starts by the hair doctor with the process of blood testing. When blood is tested the process of therapy starts with taking the blood cells from your body and then blood is spun in a centrifuge PRP which is separated and removed from the rest of the blood. Highly processed platelet rich plasma (PRP) is then injected to the scalp for treatment. After injecting patient by hair specialist hair is washed and then patient can move home. 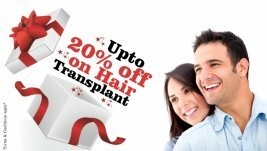 This treatment of hair can be taken at hair clinic by the hair specialist’s doctors. In this hair loss treatment no medication or sedation is used for hair implant.